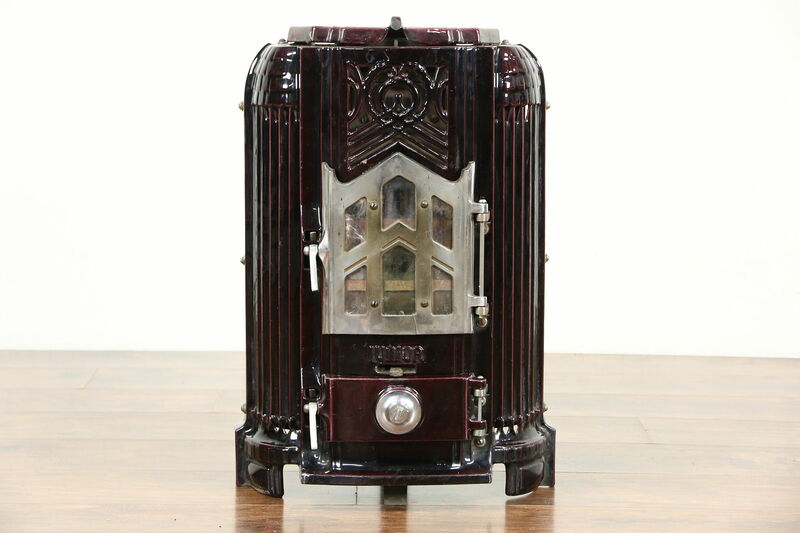 A charming little Art Deco period "Junior" model coal stove or heater is signed "Les Fonderies Bruxelloises," or Foundry of Brussels, Belgium. There are small chips to the purple enamel finish on cast iron. Mounts are nickel on this antique stove, there is a draft control. The top lifts to set a tea kettle to warm. Measurements are 17" wide, 14" deep and 26" tall.